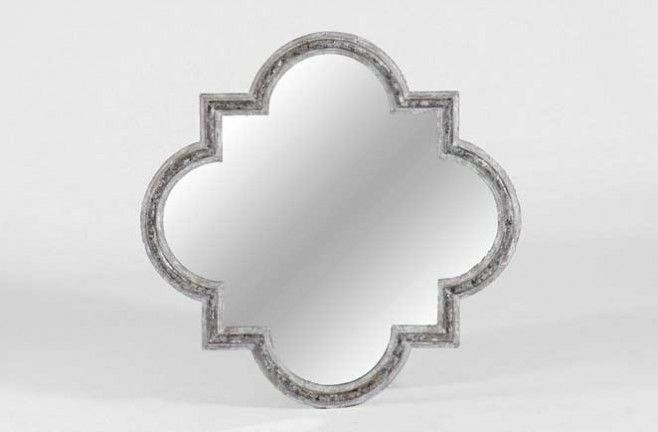 Incorporating the same beautiful organic floral design of the Claire Mirror, the Dupont Mirror brings an antique look and elegance to your home with its divided mirror and black iron frame. 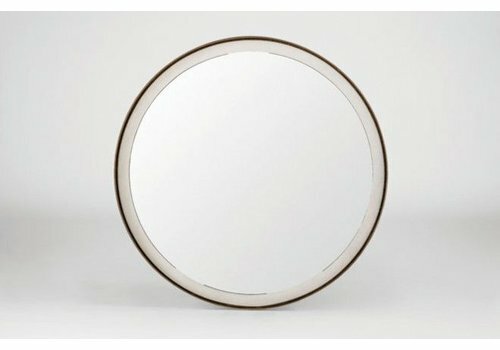 This mirror only hangs as shown. 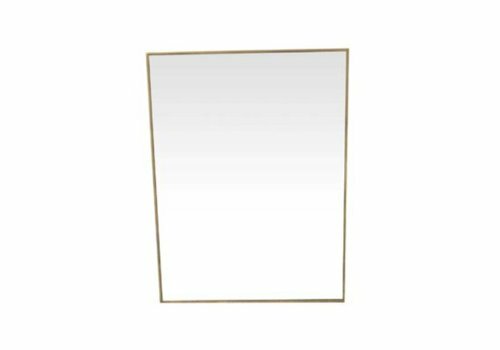 The Diana is a contemporary mirror with a champagne silver metal frame surrounded by Lucite rods that beautifully refract the color of the wall behind it. 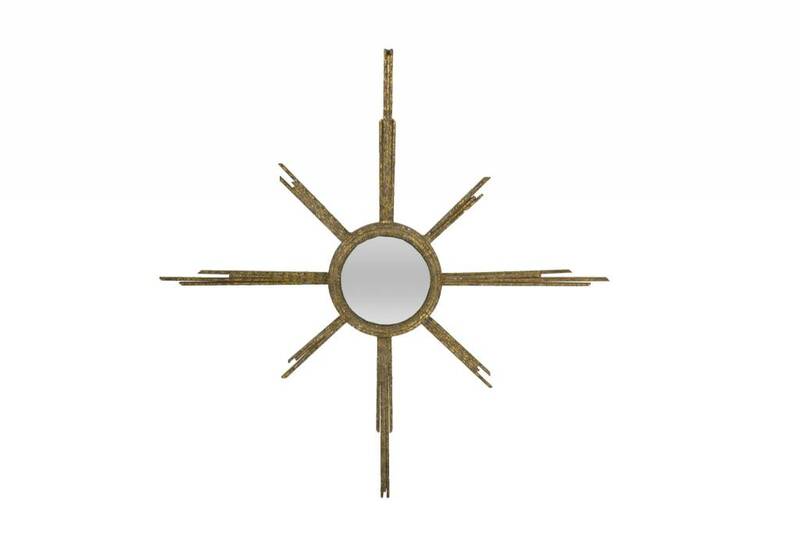 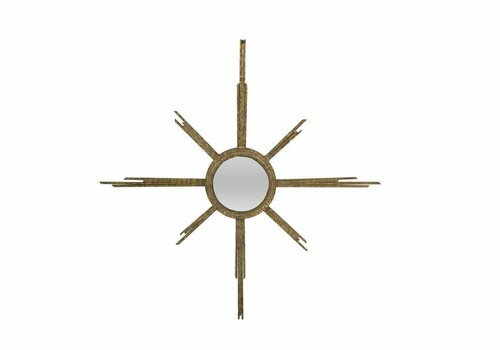 A wooden sunburst mirror that comes in 2 sizes. 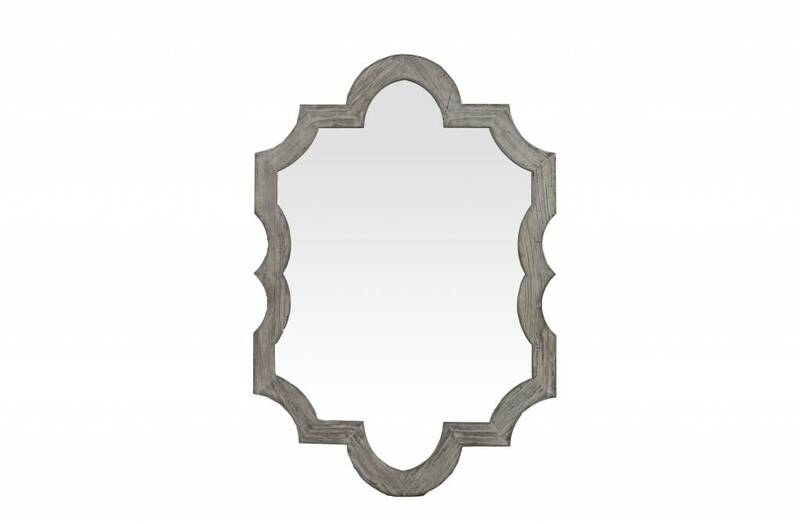 Long arms of the mirror make it a great accent piece. 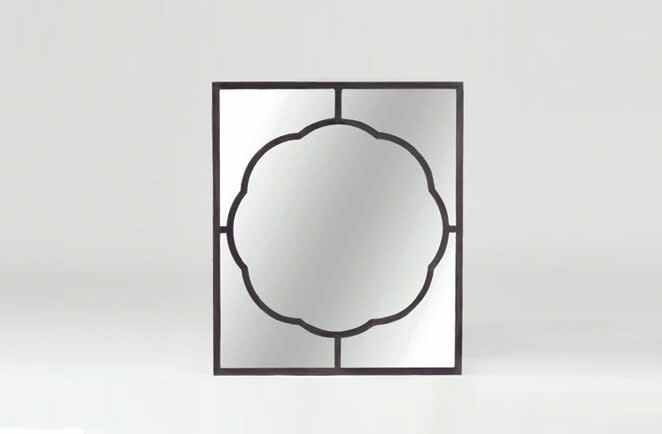 Simple elegance is what we had in mind when we designed this large transitional mirror. 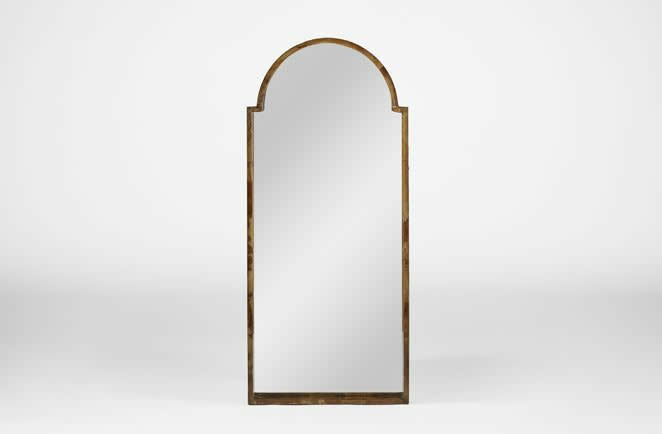 A beautiful larger-scale antique style mirror that measures 57.75 inches tall, with an inlaid Faux-horn frame. 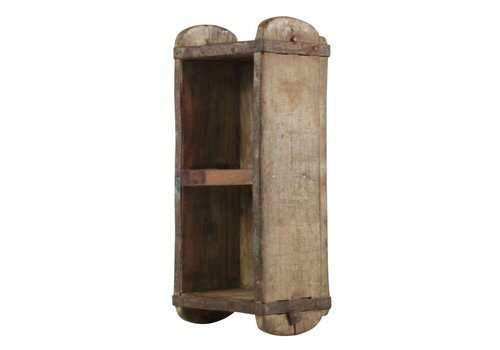 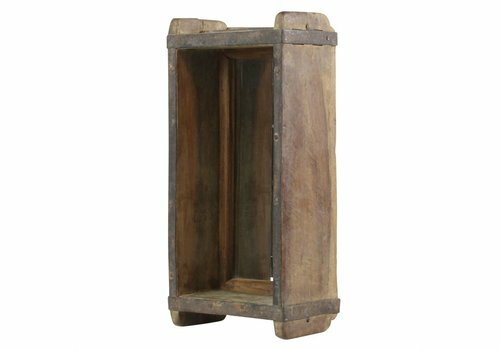 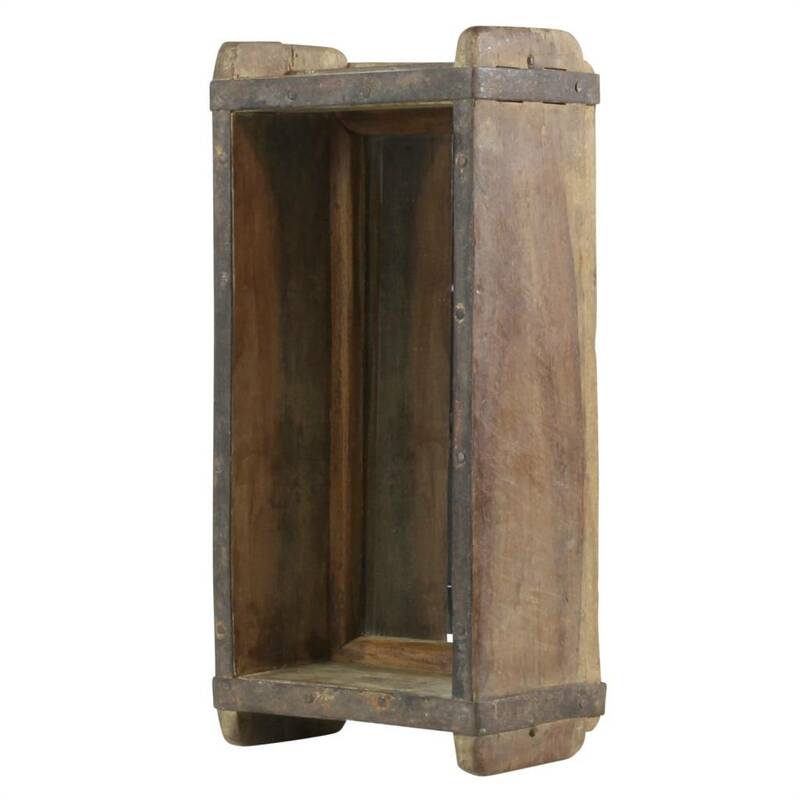 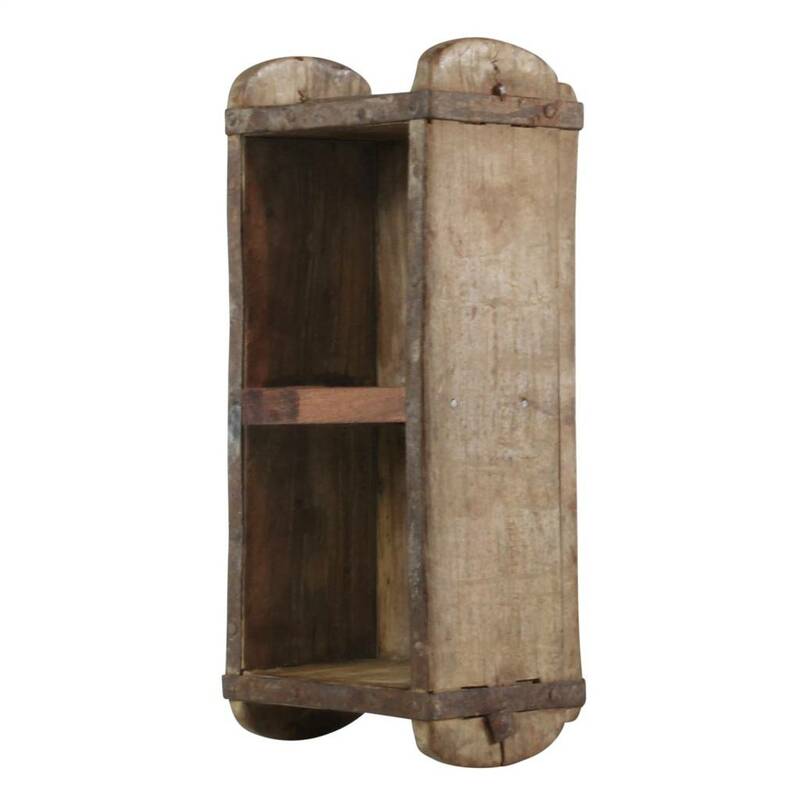 Found lots of vintages, wooden brick molds have been given a revived purpose – from building a home to decorating a home! 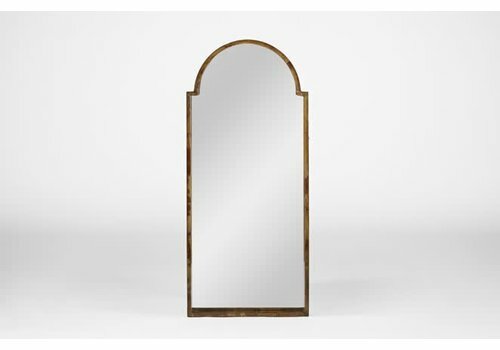 All are variations on a theme, from shelves to cabinets to mirrors. 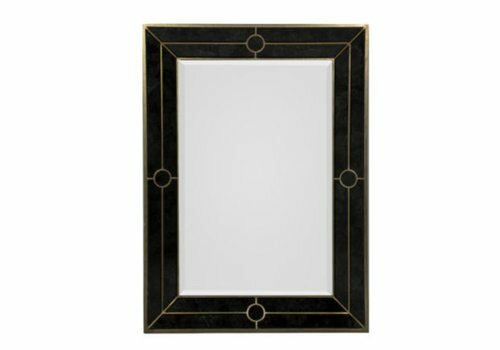 The geometric shape of the Hans Mirror trimmed in black antique mirror with gilded metal accent brings a depth and dimension to any room. 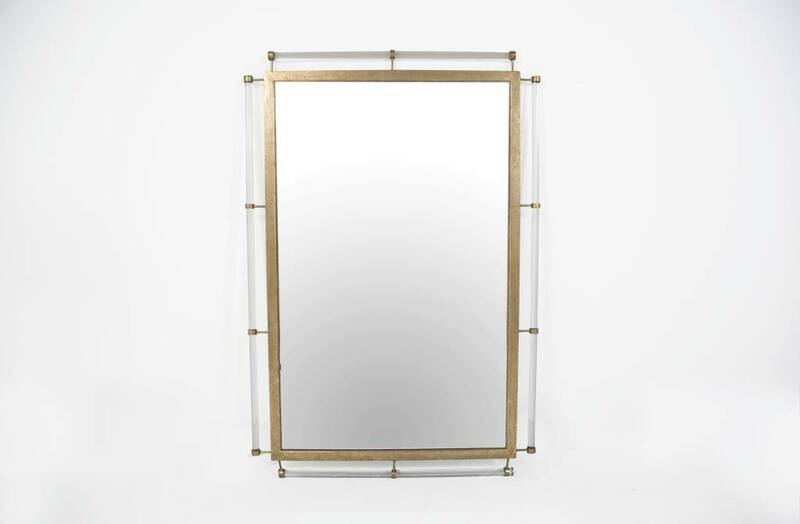 The frame of the Fernando is made of black antique mirror and trimmed with champagne metal. 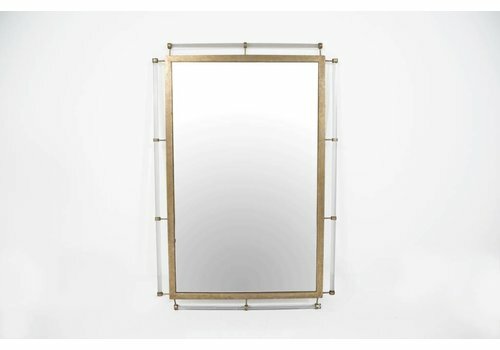 The angled sides of the frame combined with the geometric design add the sleek look. 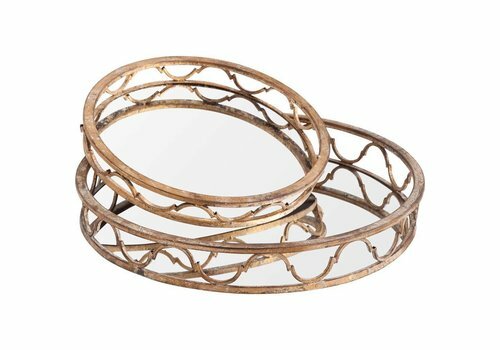 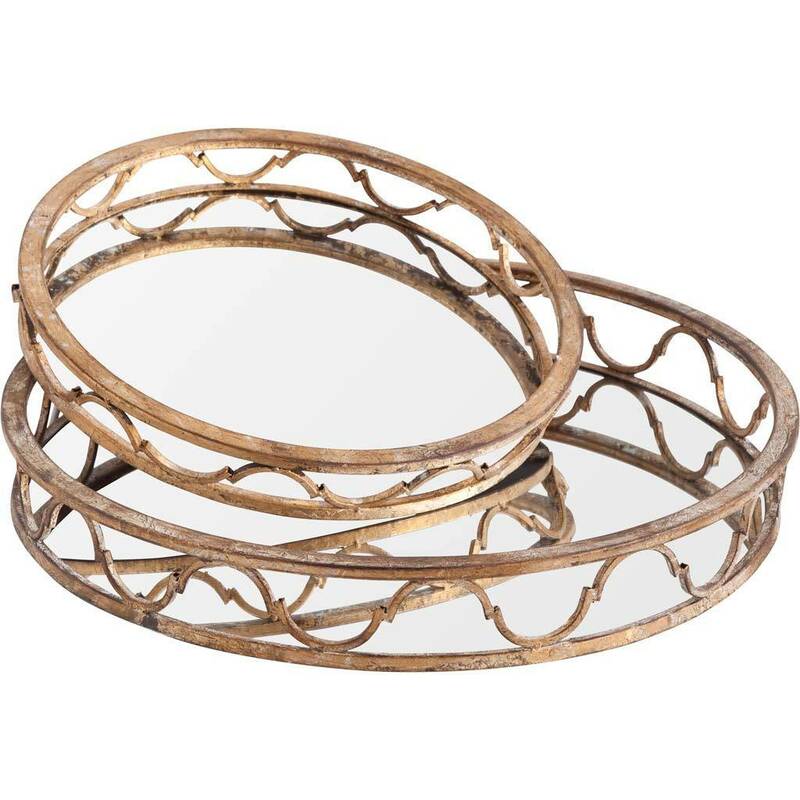 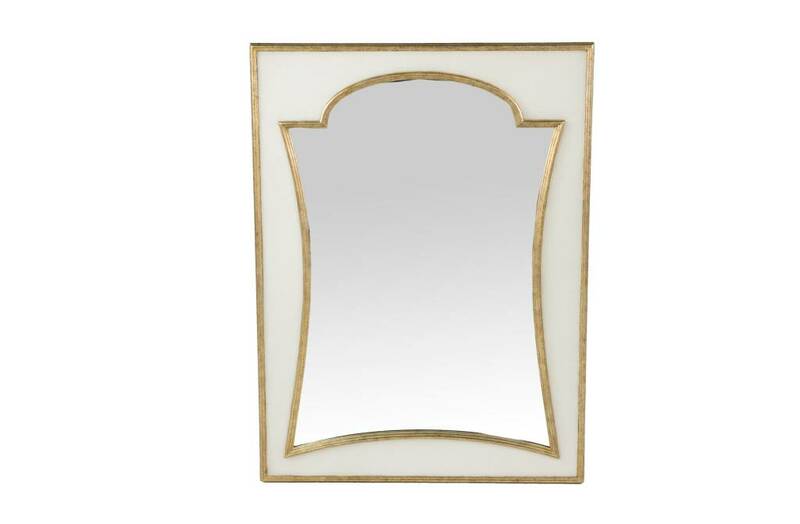 The champagne finished ribbing on the side of this antique brass mirror gives this accent piece a larger mirror effect. 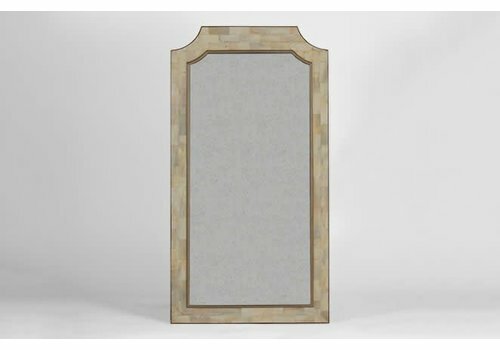 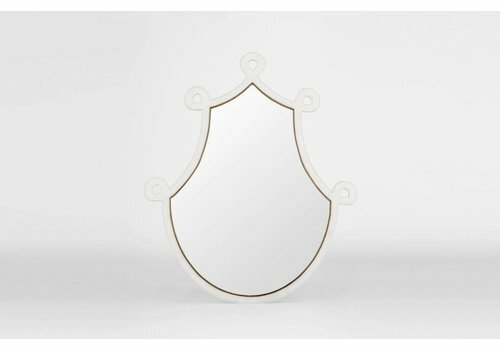 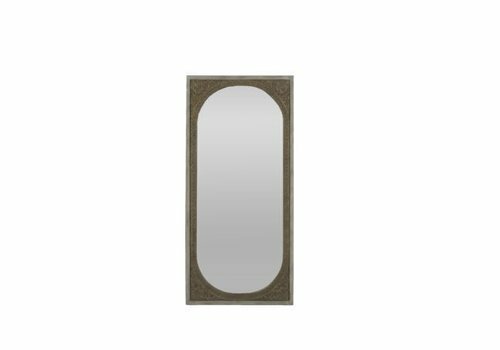 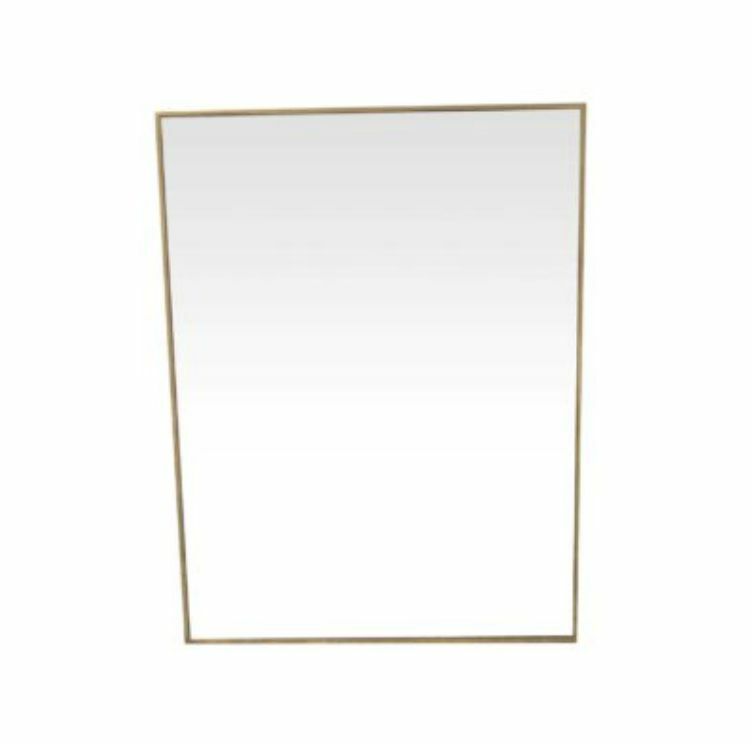 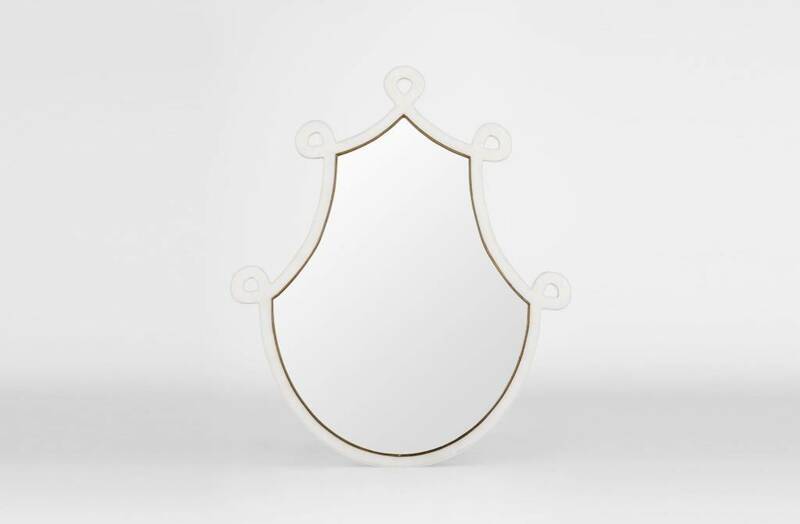 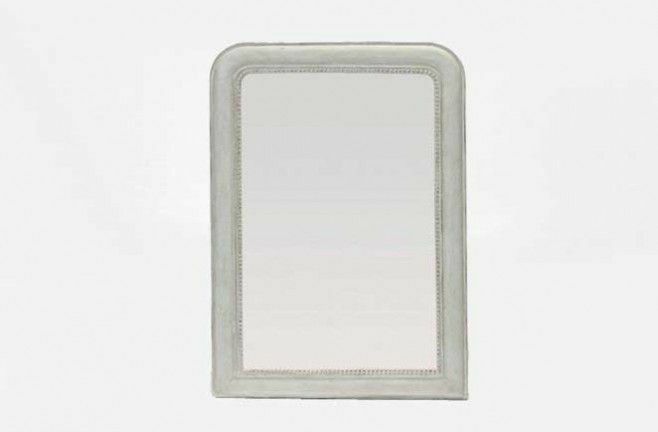 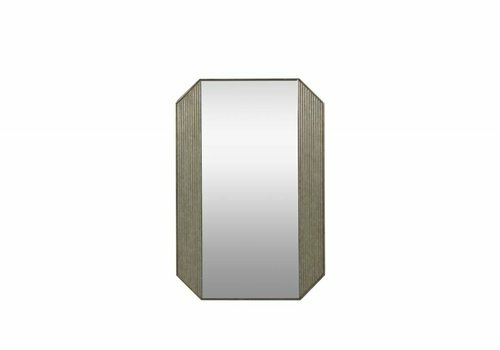 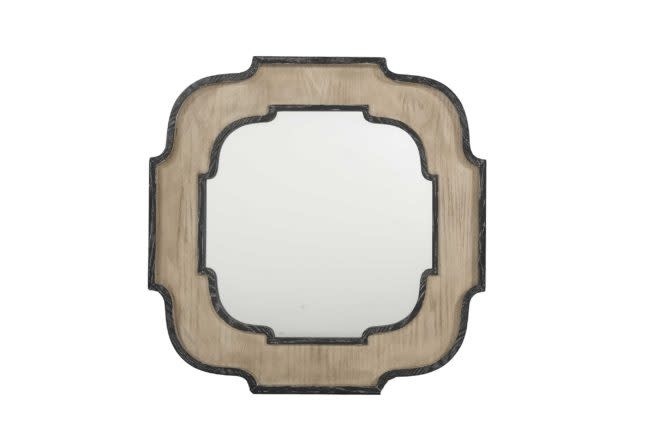 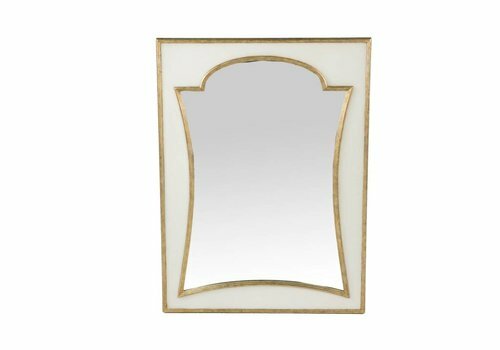 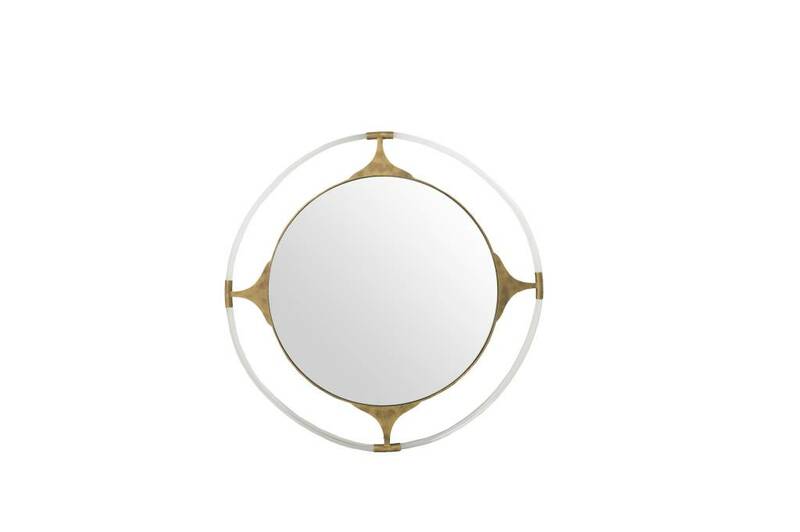 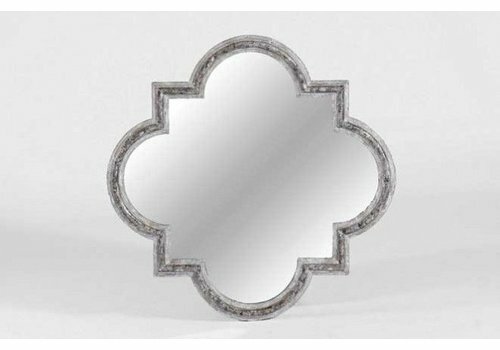 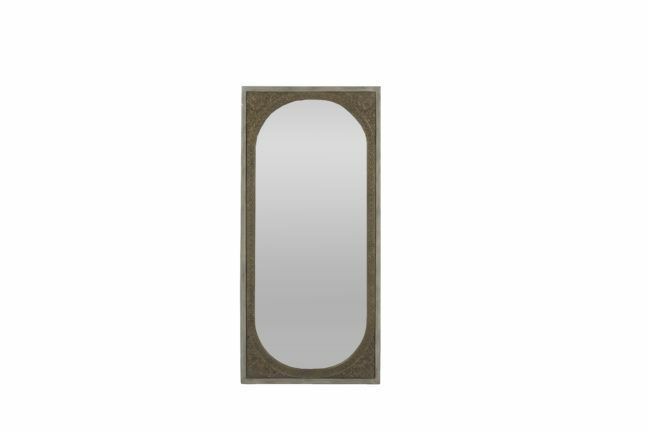 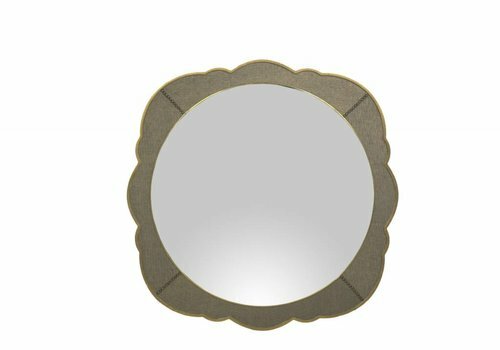 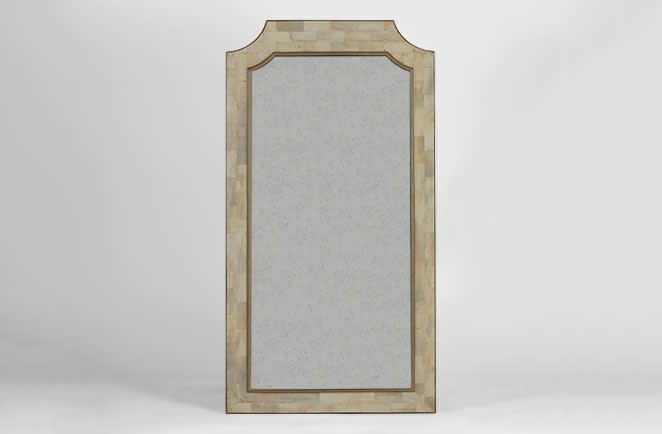 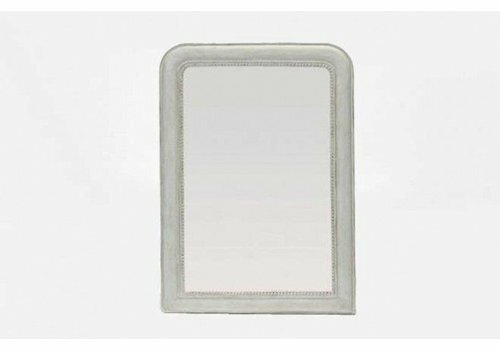 Make your space feel bigger and brighter with this white faux bone mirror trimmed in antique gold. 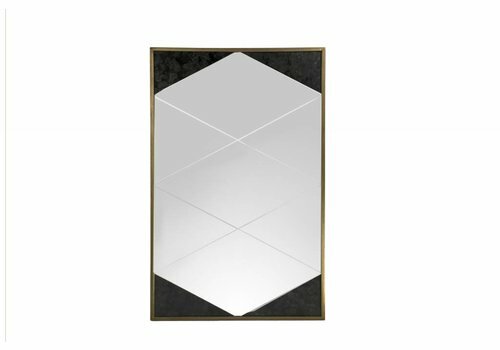 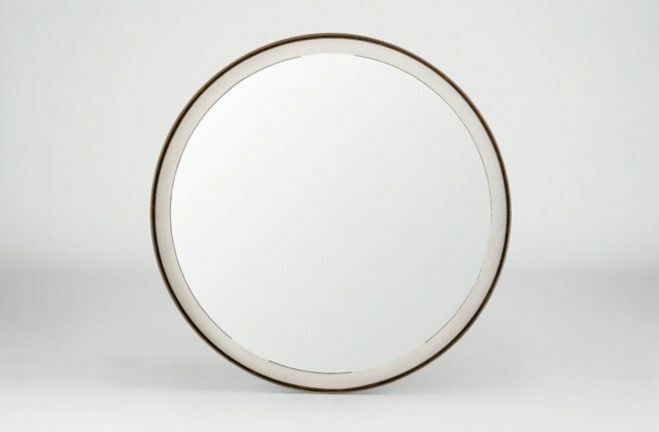 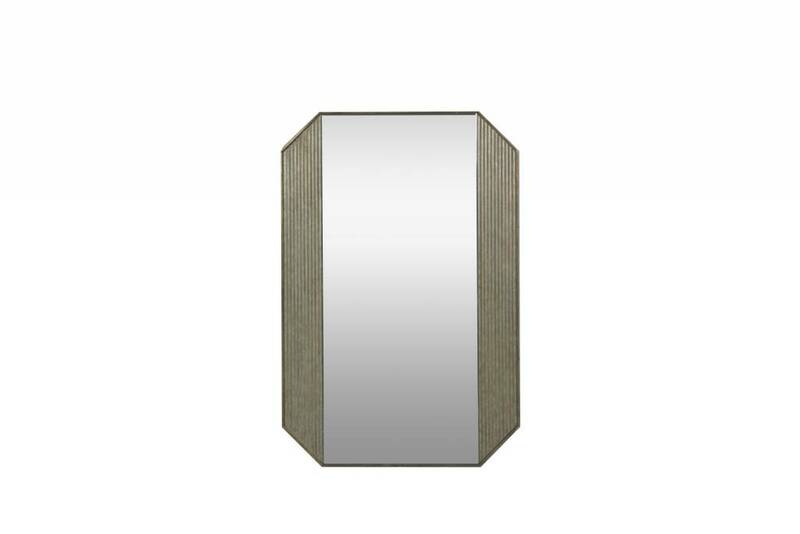 Crafted from acrylic and metal, the Callisto Mirror adds a clean graphic element to any room. 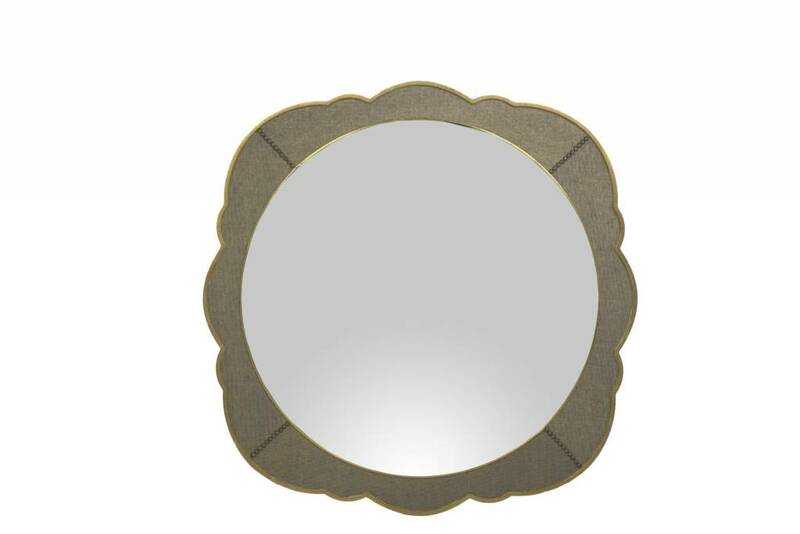 A beautiful work of art, the floral-shaped mirror is finished with a black and gold mix seagrass. 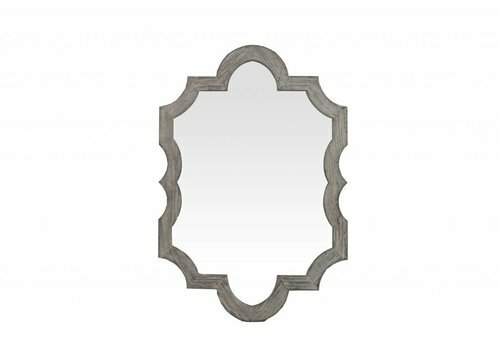 Little hammered nailheads around the frame add an interesting detail to the design. 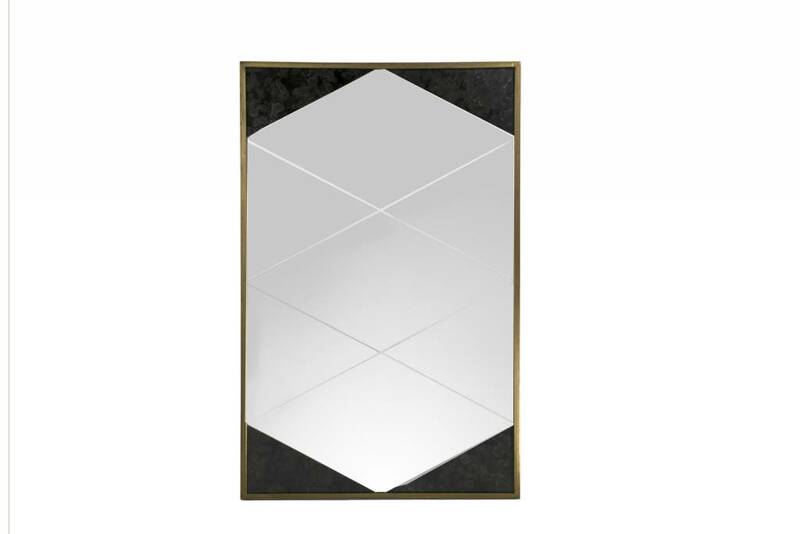 Smaller triangular and diamond patterns combine to make this larger mirror panel. 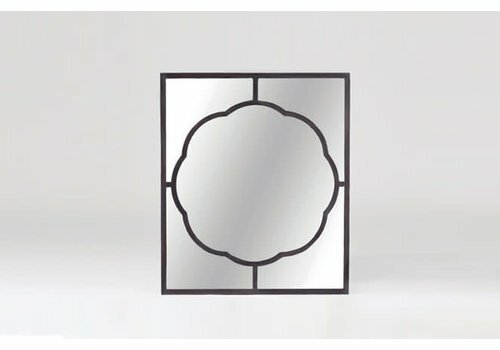 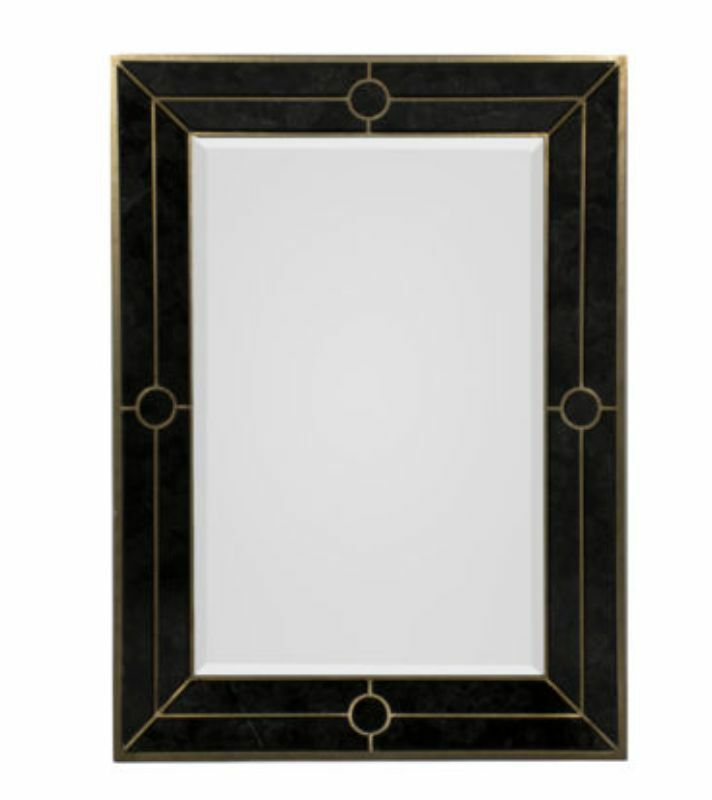 Black antique mirror accent each of the four corners of the stylish Adeline Mirror.